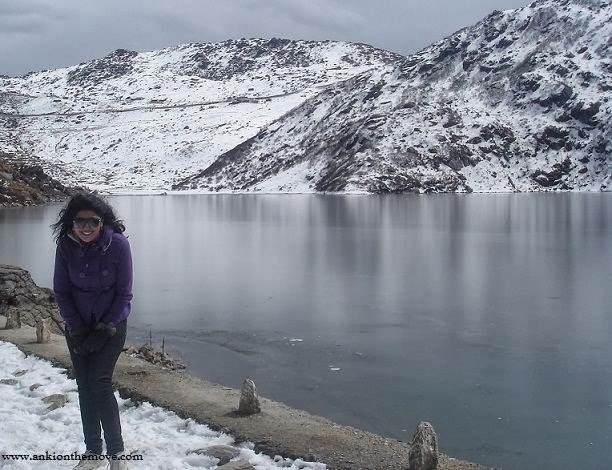 "#Sikkim named top region to visit in 2014 by #LonelyPlanet"
I wasn't surprised.Sikkim was the first place on earth I had experienced fresh snowfall,live.No wait,It was Auli but the snow in Sikkim was as special as my first snow.The view from my washroom was snow clad mountains and the trees dipped in white.I had Maggi which went cold in minutes.And I lost my cellphone only to find it again in the villages of Sikkim. Tracing back,Sikkim was one of the best places in India I have traveled so far.I know I say that for many places in India,but for Sikkim the beauty lies in the picturesque surrounding.The untimely snowfall,the timely dewdrops.Walking past the villages only to find others cuddle in the snow and then sleeping again,is what Sikkim is. 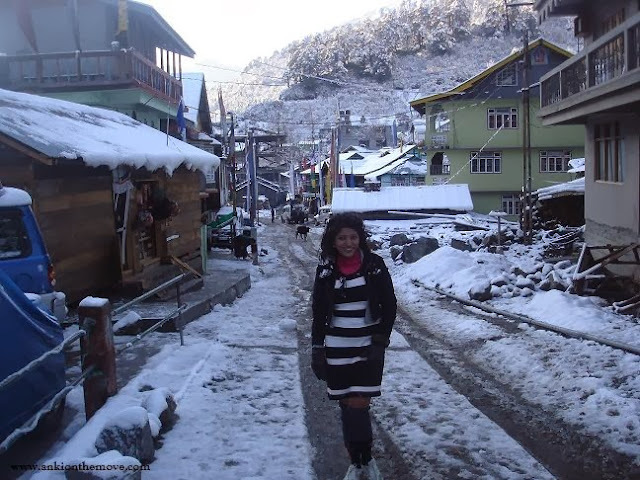 Recently in Spain Roadshow,while giving my visiting card to one of the delegates,she very politely asked "Is this place,India" and I said "Yes",that is "Sikkim",North Sikkim.She couldn't believe that India had so much snow.She couldn't believe the place was in India at all.But yes,Sikkim is one of the most beautiful places I have ever been to.Kashmir tops,but Sikkim has another charm to it.I haven't seen a picture perfect mirrored frozen lake in years until Sikkim happened.Yes,you would ask me what about the frozen Pangong Lake I was talking about.Pangong was frozen but Changu Lake,Sikkim was mirror frozen creating a smooth transparent shine to the surface.And how can I forget shivering to the core,at Indo-China Nathula pass,almost turning pink with the wind that was itself beaming with excitement as mine. So in next coming days,I take you through North Sikkim and how to backpack Sikkim on your own(as much as I remember,I traveled in 2010). Have you ever been to Sikkim?How was the experience like?What did you love most?And what did you hate most?Till then,I entertain you to some of my pictures I took back then.As I said,Blogging wasn't in my mind,so pictures are less.But they are still my best pictures,the ones I got it for Facebook :). It looks cold and as I have been there in December I know it was cold :D Lovely pictures. @Allresourceupdates:Well,a word of warning.Since Sikkim is a Tourist place,there'r many tourist traps.So either do it on your own or do it with someone you know :)! Sikkim is one of the most unique place of the world and Lake Palace is a great wonder. Thanks for the post. What temperatures can we expect up at Yumthang/Lachung in mid december? Can we survive the night? and are the roads motorable? 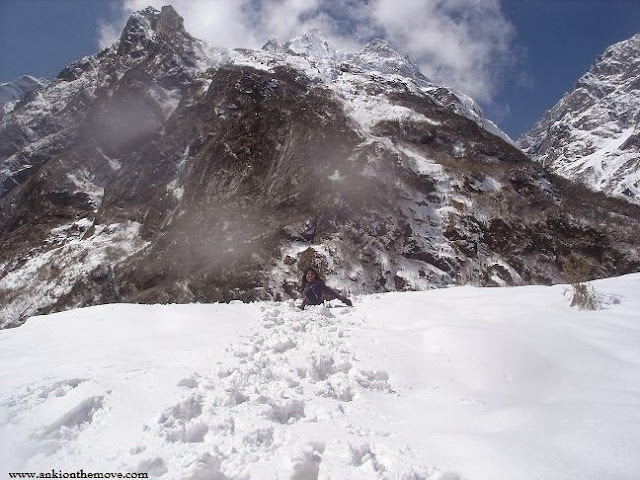 @Gaurav:I don't think its a good idea,we went in February even then we got stuck in midway of Yumthang due to heavy snow.Gurudogmar would be unreachable.The only place you might be able to do that time would be Gangtok and East Sikkim.